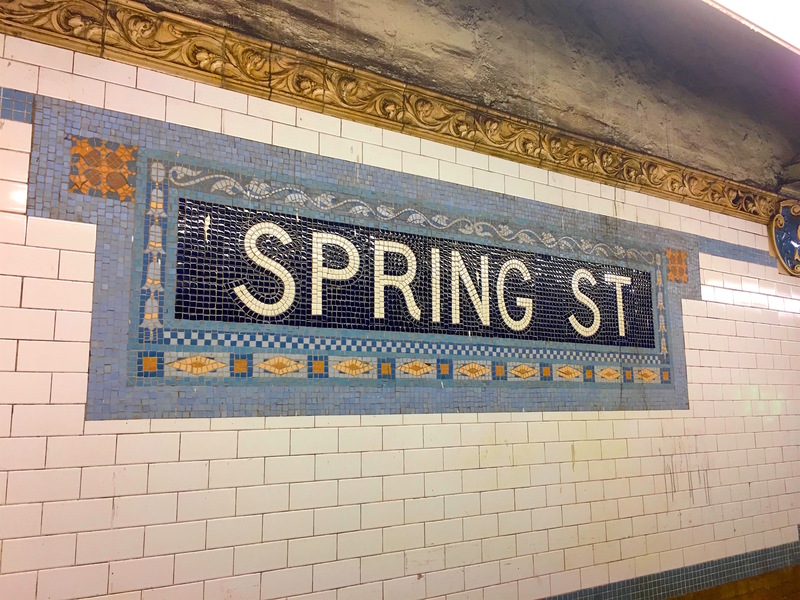 The Spring Street subway station is one of the original 28 IRT stations to open in October 1904. And like the rest, the platform is decorated with mosaic name tablets, rosettes and wreaths, and cartouches. 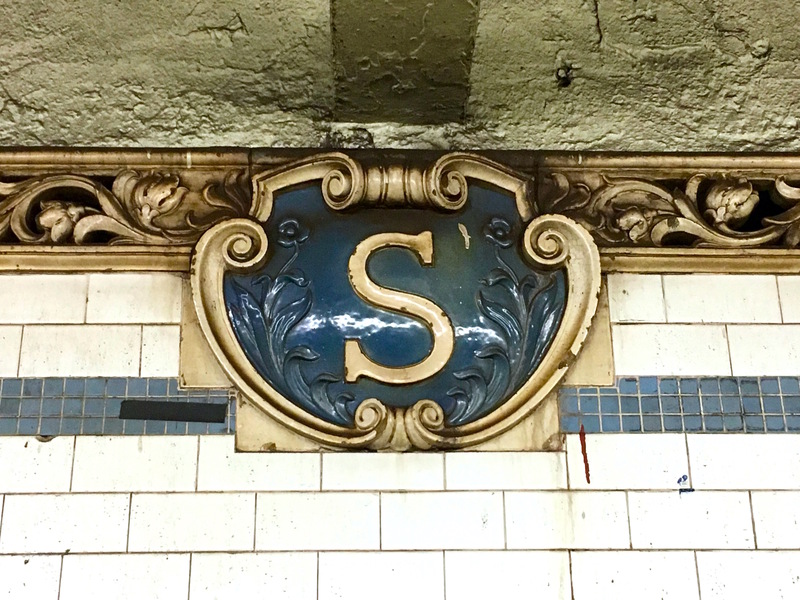 Every time I ride through this little station on the 6 train, I can’t help but notice that the S in the cartouche looks a lot like the S in the shield emblazoned on Superman’s chest. But just for the record, Superman first appeared with a similar-looking S shield in the 1930s, a good 30 years after the Spring Street station opened. It wouldn’t be the first time New York City inspired a superhero’s creators. Batman’s Gotham City sure appears to bear a big resemblance to our Gotham.